Here’s a concept that’s every bit worthy of the Red Dot Design Concept Award it won. The Easy Basin keeps in mind its user and their experience. It does a damn near marvelous job of putting together meticulously planned design details that make sense first and become aesthetic notes later. All in all, you have a sensible, convenient, and aesthetic product that does what it sets out to do rather well, and enriches its user’s life. 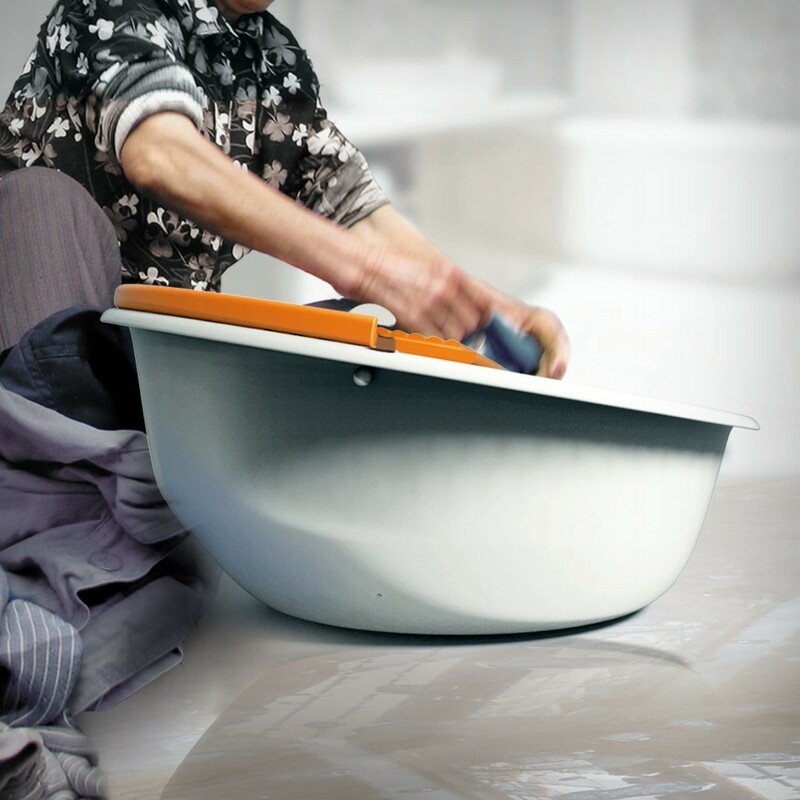 The Easy Basin is a basin/bucket designed to conveniently allow people to hand-wash their clothes. 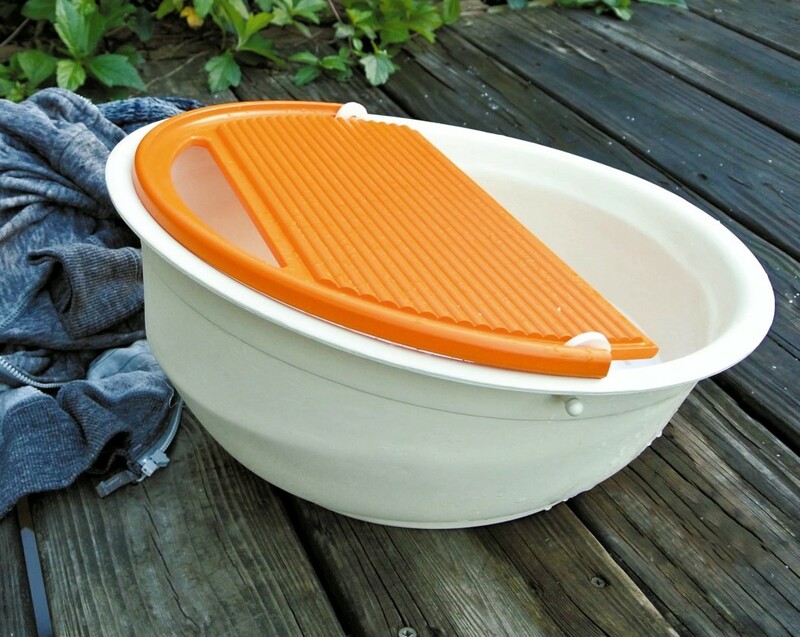 The Basin is large enough to wash up to 2-3 days worth of clothes, while also being small enough to carry. The concavity of the basin holds the clothes and the water/suds, allowing your dirty garments to soak in the soapy water. An opening on one half of the top allows you to access your garments inside, while a textured board on the other half lets you scrub your clothes against it, effectively cleaning them. The board itself is sloped, and the horizontal ridges not only provide a nice 3D texture for your clothes to rub against, they also guide the water to the sides and then down the board, back into the basin. At the far end of the orange scrubbing board is a hole that acts as a water draining outlet. Just tip the Easy Basin over and the water drains out (effectively completing one wash cycle), without letting your clothes slip or slide out of the basin itself. A chamfer/flat-surface on the base of the Basin allows you to rest the basin in the tipped over position so that you don’t have to hold the basin in place while emptying the water out through the drainage hole. 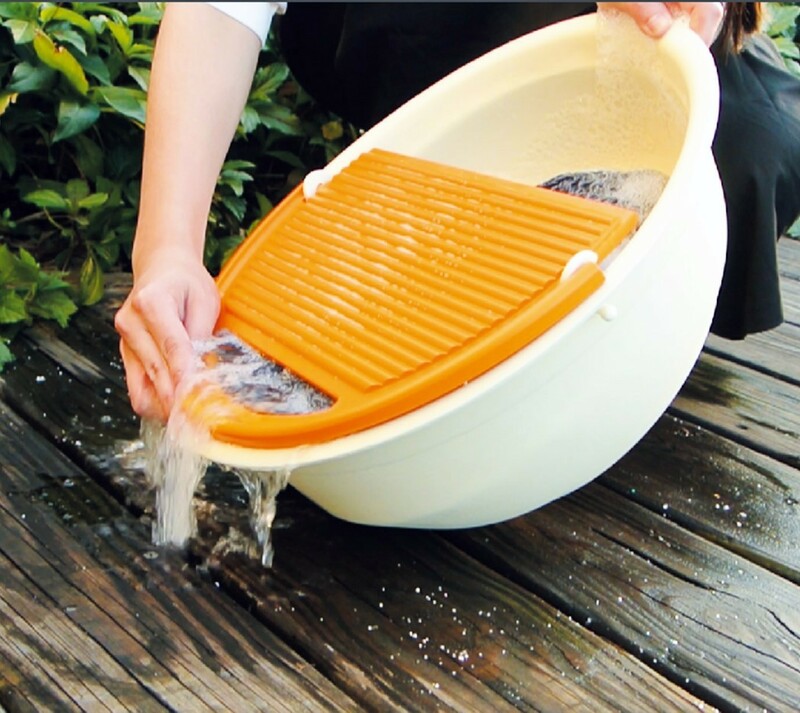 The drainage hole itself also serves as a handle when the board is opened/lifted upwards, allowing one detail to solve two purposes, and letting you easily lift the Easy Basin and carry it back once you’re done with washing your clothes. 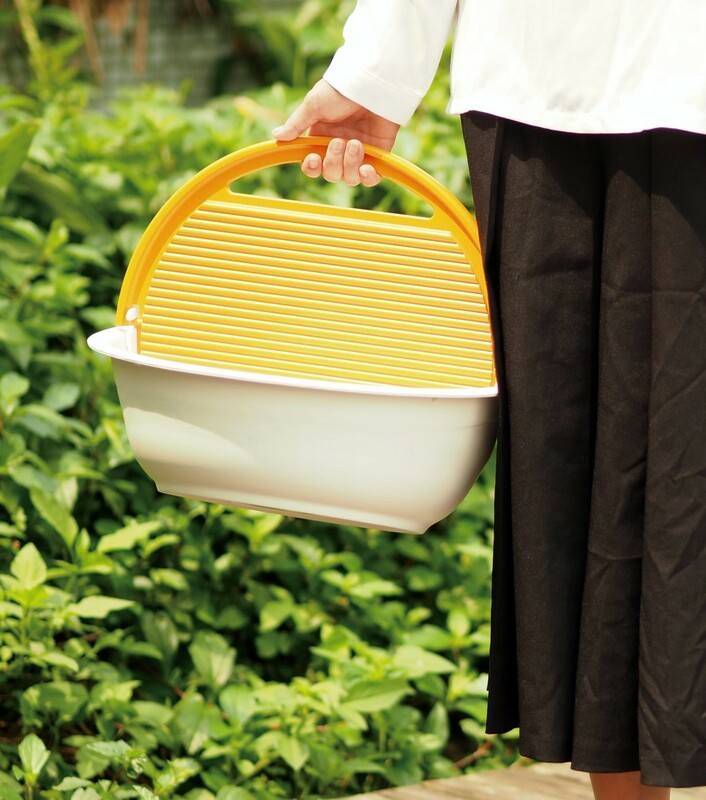 Made out of plastic, the Easy Basin is lightweight yet sturdy and is a manufacturer’s dream come true since the entire product is just two molded parts. It merges sensible design with ergonomics to make a product that’s easy to use and also great to use while ultimately also being efficient, compact, and simple to manufacture. Need I say anything more?! The Easy Basin is a winner of the Red Dot Design Concept Award for the year 2017. Designers: Chen Yu-Sheng & Prof. Zheng Meng-Cong. Next Article The ‘NIU’ face of scooters!